No burger menu is complete without a fantastic vegetarian offering. 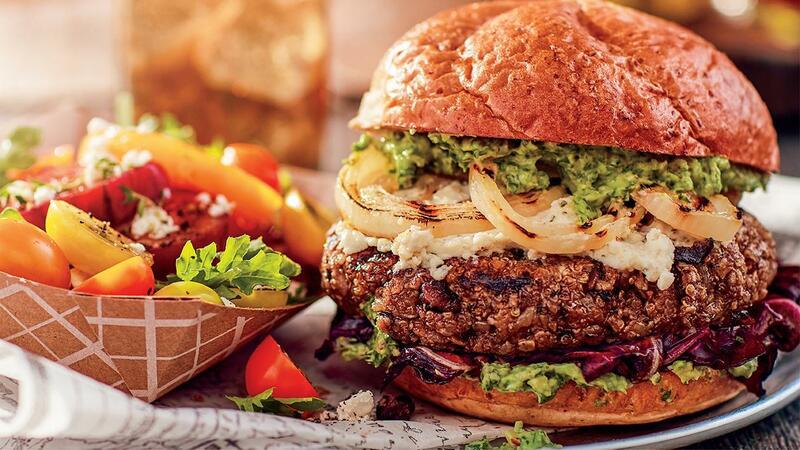 Here’s a zesty black bean burger that will do your menu good! Served with fresh lemon-herb mayo made from Hellmann's Classic Mayonnaise; view the full recipe below. Mix together Hellmann's Classic Mayonnaise, lemon zest, herbs and Knorr Lime Seasoning Powder. Shape patties at about 170g for each.